Information on my site’s communication, comment, privacy, and sponsorship & affiliation (disclosure) policies are listed below. If you have any questions or concerns about my policies, feel free to use the contact form below or email policies@mybitterinsanity.com to get in touch with me! For general inquiries and communication, please use the contact form on my contact page. One of the reasons I started this blog was to start a conversation; I think most people who blog about mental health and the like would say something similar. In my books, conversation can help a lot to diminish ignorance and stigma and increase compassion and understanding, and I want to make it easy for us to have a conversation! That said, this policy (and the comment policy below) is important to understand going into that conversation. 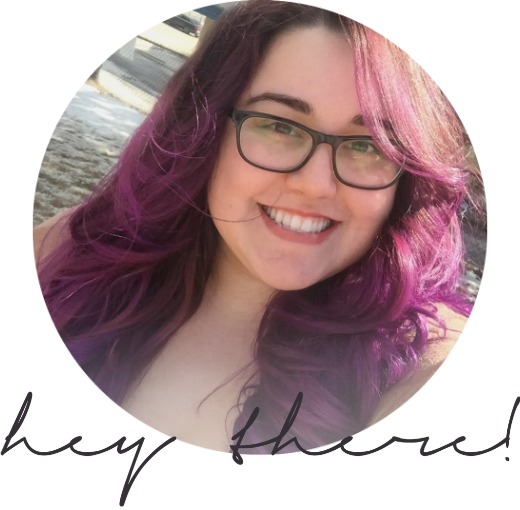 Because of the nature of my site (and its blogger), I think it’s important to set boundaries and general rules to help promote positive and constructive conversation for myself and my blog’s visitors. Please note that I aim to answer all of the messages sent to me (which you can do over here), but that might not always happen, usually for one of two reasons. (1) It’s no secret that I’m not in the best health right now, and I might just not be up to answer any or every message, and I hope that you can understand that it doesn’t necessarily have anything to do with you personally. (2) I like to live by a simple rule: ‘Don’t feed the trolls.’ I’m not always the best at following this rule in person, but I am drawing a hard line in the sand when it comes to my website. Abusive, derogatory, offensive, or hateful messages will not be answered and repeat offenders will simply be blocked. As I began mentioning above, I think that having comments on any blog can be very helpful to aid in the conversation, and I’m glad to be able to advance the conversation with all of you on my blog! Keeping that in mind, I feel that it’s important for all the comments to be positive and to contribute to the conversation constructively. To help encourage positivity and constructivity, curse words and bigoted slurs will cause your comment to automatically be deleted or marked for moderation. If your comment is marked for deletion or moderation, a message will appear once you’ve submitted your comment and you will be notified by email if it has been approved. On rare occasions, if a comment is constructive but contains abusive or inappropriate language, the comment may be edited to censor the inappropriate language; if this is the case, a note will be left with a link to the comment policy and the comment author may be contacted with a warning. Occasionally, some hurtful, hateful, or harmful comments may not be filtered out by the auto-moderator. In this case, I reserve the right to delete these comments without notification to the comment’s author. There will be no tolerance for trolling, harassment, or bullying; repeat offenders will be banned from commenting. Please note that it is not my goal to censor anyone’s opinions or experiences, only to encourage a safe and positive environment. If you see a hateful or harmful comment that I have missed and you feel should be removed, feel free to contact me using the form below and I will review the comment. Note that administrators, post authors, and editors will be marked with their title after their names in the comments..
Any comments posted by someone suspected of impersonating another commenter (or administrators, post authors, and editors) will be removed. If someone is impersonating you and I have not noticed, please use the contact form below or email policies@mybitterinsanity.com and I will look into the problem. Be sure to use the email address that you used to post your original comment so that we can verify your identity! If you’ve left a comment on a blog post and would like it deleted, please use the contact form below or email policies@mybitterinsanity.com and I’ll take care of it. To verify your identity, please use the email address you used to post your comment, this is the only email address I will use to contact you for confirmation. In keeping with my sponsorship & affiliation (disclosure) policy and my personal beliefs, any spam, blatant promotion or advertisements will be marked as spam and removed. Repeat offenders will be banned from commenting. If these policies are to change in the future, this page will be updated. I use MailChimp to store, build, and organize my mailing list. If you subscribe to my blog by email, this is how you will get updates. MailChimp is one of the most common and trusted mailing list services used. You are the owner of your own information. I only have access to or collect the information that you provide to my by commenting on my blog, emailing me, or using my contact forms. I will absolutely never share, rent, or sell your information to anyone for any purpose. I use your information in order to respond and engage with you in response to your contact (i.e. reply to your email or comment) or to moderate comments (i.e. blocking, warning, or contacting privately). I may also use the information you choose to provide to better understand my audience and popular content. Ask that your data be deleted or removed from use. In order to allow subscriptions to my blog, I use MailChimp to store, build, and organize my mailing list. When you subscribe to my blog, you provide your name and email address. This information is stored at MailChimp and used to send you new posts and updates on my blog when applicable. You can unsubscribe at anytime by clicking the ‘unsubscribe’ link at the bottom of any mailing list email or by emailing unsubscribe@mybitterinsanity.com. Note that it may take up to a week to unsubscribe my email. As a rule, cookies will make your browsing experience better. However, you may prefer to disable cookies on this site and on others. The most effective way to do this is to disable cookies in your browser. If you’d like to disable cookies, consult the Help section of your browser or take a look at the About Cookies website which offers help for all modern browsers. If this policy is to change in the future, this page will be updated. Because of the personal and potentially touchy subject of my blog, I’ve decided not to participate in anything that may distract from my message, as such, there are currently no advertisements, affiliations, or sponsorships on my blog and I have no plans for any in the future. This is a personal decision that I’ve made, and everyone has the right to make it for themselves on their own blog. There are, however, sponsorships available on my podcast. Each and every sponsorship will be clearly labeled and introduced as such. Note that there may be occasional agreements with fellow bloggers to cross-promote or guest-post on each other’s blogs, but these will be clearly marked as such and will be done for no direct financial gain (ie — we would hope for an increase in traffic, which could increase income for a blogger with ads, but I will not accept or give payment from or to any such partners). Request more information or clarification on my policies by filling the form below. Please note that due to the nature of this site and its blogger, not all messages may be answered.